Welcome to the Oasis at Birch Lake. 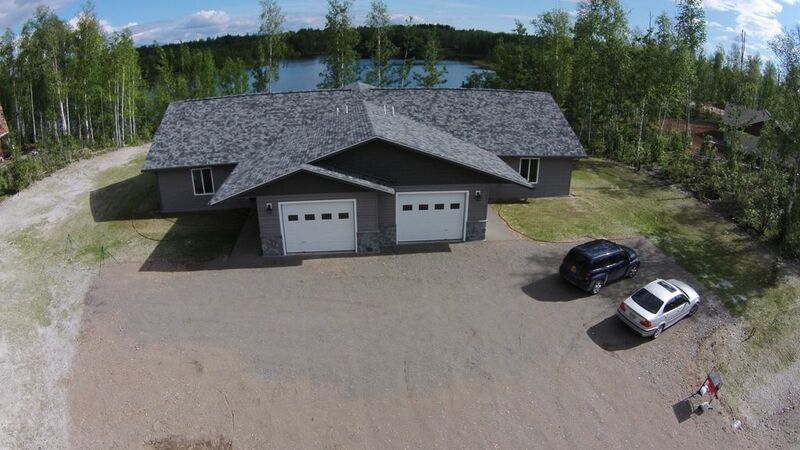 This home offers peaceful and secure lakefront living within a private gated community located 1 mile from Big Lake town center, and 15 miles from Wasilla. This is a brand new craftsman home offering high end finishes and stunning lake and mountain views with abundant wildlife. You will be only minutes away from lake recreation or wilderness outings. Your affordable key to high end style vacationing right here in Alaska. We are empty-nesters, having raised a large, blended family, all of which are now scattered around the country. We have 11 grandchildren, and we expect that number to grow. We live in Kansas, but recently purchased this property in Alaska because we have family that live there. Our son-in-law is the builder, and he and our daughter are co-owners with us. We are excited about starting a business venture with our Alaska family. The property was designed with senior living in mind. It is all on one level, with wide doors and hallway, and easy shower access. However, the cozy and well-appointed home, the lake, and frequent wildlife views will be a real pleasure for all ages. The property is located within a quiet and secure gated community. We stayed at the lake house condo in early September. It was clean & comfortable with a fantastic view of the lake! There's a wood dock allowing access to the lake; we had use of a canoe, row boat & safety vests. If you're looking for a vacation rental house with fully equipped modern kitchen, gas fireplace and gorgeous views - this is the place for you! Jeff & his group were great guests. They took care of the place well & left it clean. We would welcome them back! We enjoyed our visit so much! The area is quiet and peaceful and the lake view is beautiful! It was close enough to a couple of towns but far enough away to feel like you’re in the country. The house is newer and oh so nicely constructed with most everything you need! Neighbors are very nice too :) The canoe was an added bonus and we enjoyed that and the new dock very much! We didn’t catch any fish or see any in the lake but it was still fun to be out there. Paul was very helpful and so kind once we arrived and Becky was very sweet and informative when we booked! We would definitely come and stay again!! Leslie & her group were wonderful guests! They were were pleasant and accommodating, and respectful of the house rules. They left the house very clean. We would welcome them back any time!